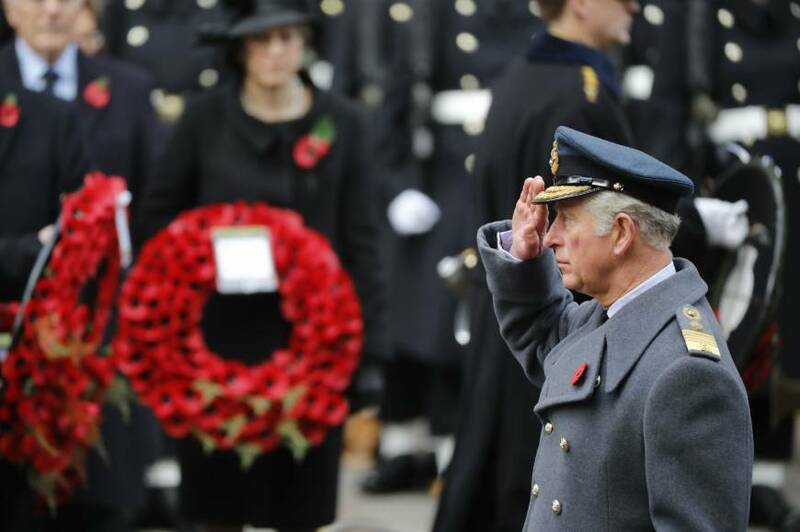 LONDON - Prince Charles led the annual ceremony to honor Britain’s war dead on Sunday, laying a wreath on behalf of 91-year-old Queen Elizabeth to mark Remembrance Sunday as she watched the service from a balcony. Breaking with her usual custom of placing the wreath at the Cenotaph on Whitehall in central London, the queen asked her eldest son to take on the role, in part because of the demands of the ceremony for someone in their 90s. A two-minute silence was held at 1100 GMT and wreaths were laid at the foot of Britain’s main war memorial by senior royals and political leaders, including Prime Minister Theresa May and the leader of the main opposition Labor Party, Jeremy Corbyn. The queen and her 96-year-old husband, Prince Philip, watched from the balcony of the nearby Foreign Office. Royal historian Hugo Vickers said the queen had slightly stumbled during last year’s service. “One of the most important things with the queen as she gets older is not to put her in any situation where she might be uncomfortable or things might be difficult,” he told Reuters. But he rejected the notion that it symbolized something more significant, saying it was “another step that we realize that we have an aging monarch, and it’s very important that we should not put too much pressure on her. The head of state has been gradually reducing her workload and younger royals, including the 68-year-old Charles, have been taking up some of her duties. 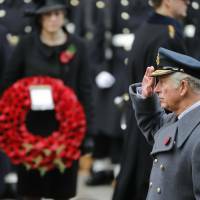 Philip retired from public life in August but was keen to attend the annual ceremony, which commemorates the fallen of two World Wars and later conflicts. The queen has missed the wreath-laying ceremony only six times in her 65-year reign. On four of those occasions she was on foreign visits: to Ghana in 1961, Brazil in 1968, Kenya in 1983 and South Africa in 1999. She also missed the ceremonies in 1959 and 1963, before the births of her two youngest children, Prince Andrew and Prince Edward.